Advocates and community members from Fresno convened to examine domestic violence within the context of gender equity and how it impacts Fresno’s Hmong community. Participants identified steps that communities and systems can take to raise awareness, improve service for survivors, and redefine gender values and practices. 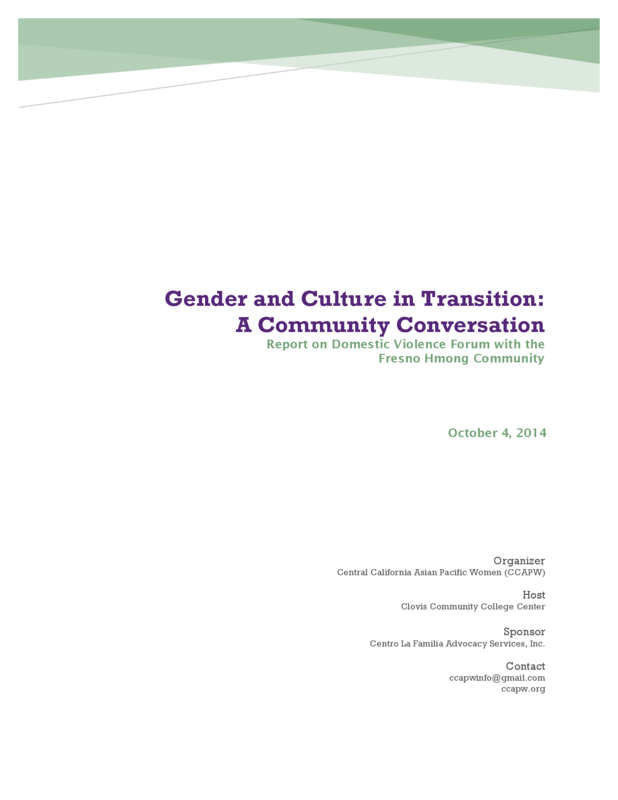 Report by Central California Asian Pacific Women.